PCOS symptoms vary from woman to woman. Polycycstic ovary is the result of hormonal imbalance but all women who expereince the same physical and emotional symptoms. With the most extreme form of PCOS symptoms, you would tend to be overweight, have no or very few periods, be prone to acne, grow unusually heavy body hair, often on the face, breasts and inside of the legs, and be susceptible to mood swings. You may also have difficulty conception and have recurrent miscarriages. Also, women with PCOS are more likely to develop problems with blood sugar balance. Blood sugar problems are connected with high levels of testosterone and can cause many symptoms related to PCOS. The root cause of PCOS is hormonal imbalance. Treating hormonal imblance naturally involves understanding the basic biochemistry of this condition in order to select the best remedies that support the body and create a healing response. The hypothalamic-Pituitary-Gonadal axis, which is also called HPG axis plays a very critical role on the regulation of many organs involved in reproduction, metabolism, growth, aging, immune function and adaptation to stress. The hypothalamus, the pituitary gland and the ovaries (female gonads) are viewed as a system and no longer as simple separate glands. They are now known to work together to maintain numerous bodily functions, including reproduction. If this system or one of its components goes out of balance, many effects on the body can be noticed. The hypothalamus releases gonadotropin-releasing hormone (GnTH). The pituitary gland is divided into two areas: the anterior and posterior pituitary. The anterior pituitary gland is the area related to the release of hormones important for the regulation of the menstrual cycle and reproduction. These are the luteinizing hormone (LH) and the follicle-stimulating hormone (FSH). Other hormones produced by the anterior pituitary are prolactin, thyroid-stimulating hormone (TSH), human growth hormone (HGH), and adrenocorticotropic hormone (ACTH), important for stress adaptation. The ovaries produce estrogen, progesterone, and testosterone. 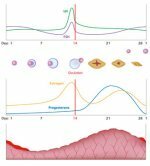 The HPG axis regulates ovarian cycles. If the positive feedback loop between estrogen and luteinizing hormone is not properly functioning due to imbalance, the development of the follicle in the ovary for ovulation is impaired. In the case of PCOS, smaller than normal follicles grow within the ovary. Because they do not grow in size and do not mature, ovulation is either absent or delayed. 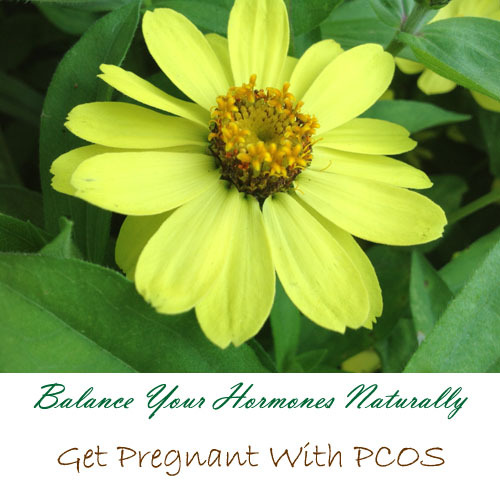 Herbal remedies and nutritional supplements treat PCOS by creating balance at the level of the HPG axis. If you are interested in a natural program to treat PCOS, I recommend The HormoneWise Fertility Kit. This is a comprehensive program that completely supports hormonal balance in your body. Polycystic ovary syndrome (PCOS) is caused by hormonal imbalance within the reproductive system. Most women, but not all, have enlarged ovaries that contain many small cyst. Use Mind-Body visualizations﻿﻿﻿ for Polycystic Ovarian Syndrome to promote hormonal balancing and help you conceive. 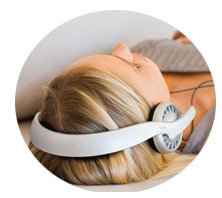 Listening to a guided meditation specifically designed for each day of your cycle helps balance the HPG axis. Remember the pituitary and hypothalamus are in your brain! Having a polycystic ovary may cause anovulation when the woman does not ovulate at all during a particular month leading to what it is commonly called an anovulatory cycle. When the woman has very few ovulatory cycles, the term oligo-avulation is often used to underline the fact that ovulation occurs very infrequent and not as often. PCOS symptoms manifest themselves in the majority of the cases as irregularities of the menstrual cycle. Irregular menses are the result of not ovulating regularly. The following terms are often used in association with this aspect of PCOS symptoms. 1. Amenorrhea, when the woman does not get any periods at all. 2. Oligomenorrhea, when the woman experiences infrequent periods. 3. Hypermenorrhea, when periods occur too frequently. 4. Menorrhagia, when the woman has heavy periods and/or they last for many days. 5. Metorrhagia, when there is bleeding or spotting that occurs in between normal periods. Many women suffering from PCOS symptoms present high levels of androgens or male hormones. This condition is called hyperandrogenism. 1. Hirsutism: unwanted hair growth on the lip, cheeks, chin, neck, etc. 2. Acne on the face, chest and back. 3. Alopecia: male pattern thinning and loss of hair. It is important to notice that androgen levels can be elevated in other types of problems besides PCOS. So, it is important that you talk to your doctor in order to be given a diagnosis of polycystic ovary syndrome (PCOS). So, if you think you suffer from fertility issues and have PCOS symptoms make sure to talk to your doctor in order make sure you are properly diagnosed with this condition. If you get pregnant, make sure to seek immediate pre-natal care as soon as you get pregnant in order to prevent complications during pregnancy. Many women with PCOS have normal pregnancy, deliveries and healthy babies. If you are considering IVF due to PCOS, give natural health a try first! As I mentioned earlier in this page, I recommend The HormoneWise Fertility Kit, which has been developed specifically to help you create better hormonal balance if your are suffering from PCOS. It contains herbs and supplements that supports the body prevent the formation of small follicle, ovarian cysts and poor ovulation. 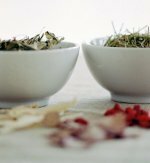 Herbal remedies have the ability to address hormonal imbalance like estrogen dominance, low progesterone and high testosterone levels to address the major symptoms of PCOD leading to more regular periods and better ovulatory cycles.